If you, like me, own a Nespresso machine but are a little uncomfortable giving Nestlé any more money than necessary – or are just too lazy and impatient to buy your coffee pods from official sellers – good news! Sainsbury's have started stocking Dualit NX Nespresso-compatible coffee pods. I tried the pods, and can vouch that they work. The coffee is pretty tasty too. But the really good bit is the capsules themselves. 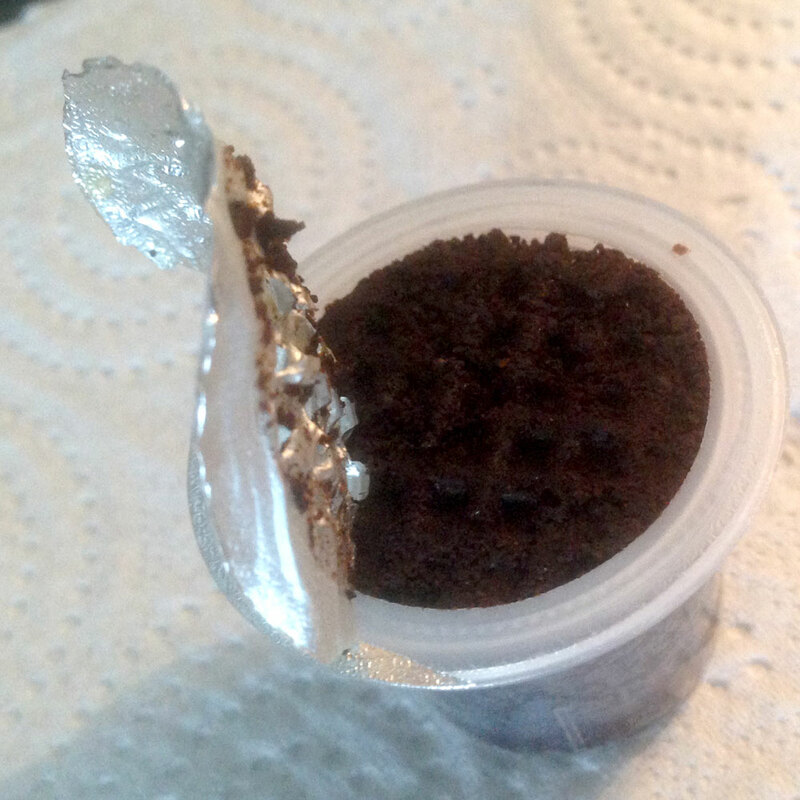 Rather than the official foil capsules, Dualit coffee pods are plastic. That means you can scrape out the coffee grinds after use, put refill it with your own coffee grinds, top off the capsule with a bit of kitchen foil, and, hey presto, home made Nespresso capsules. I gave it quick go with some Illy coffee and it worked pretty well. It's a little fiddly, but much much less hassle than using a traditional espresso maker. If you have a Nespresso machine, follow the instructions below to try it for yourself and let me know how you get on. I'll update this page as I find out more about getting the most from these pods.